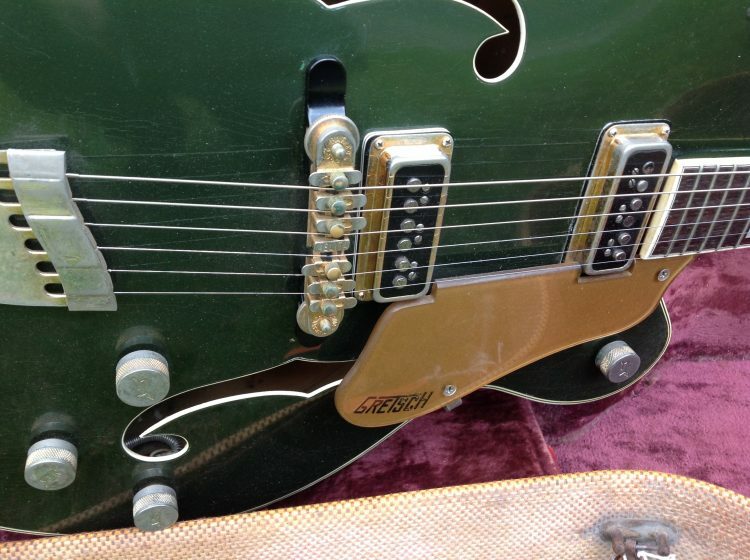 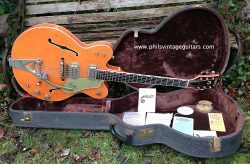 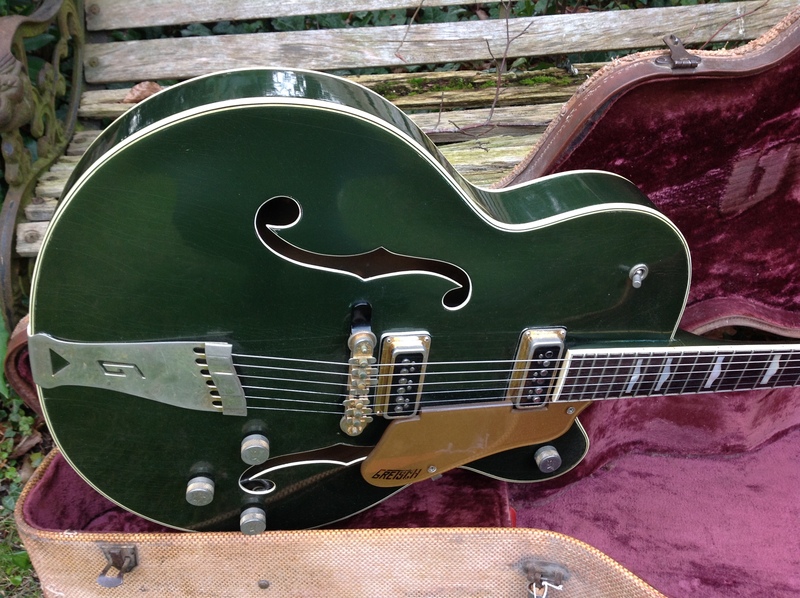 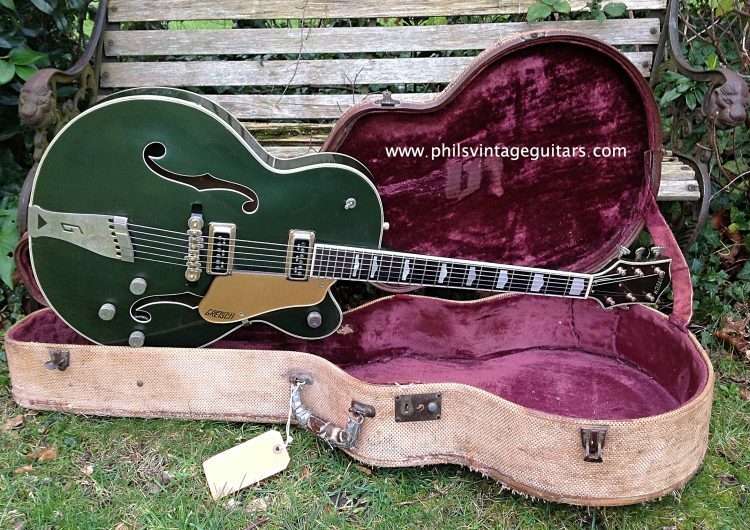 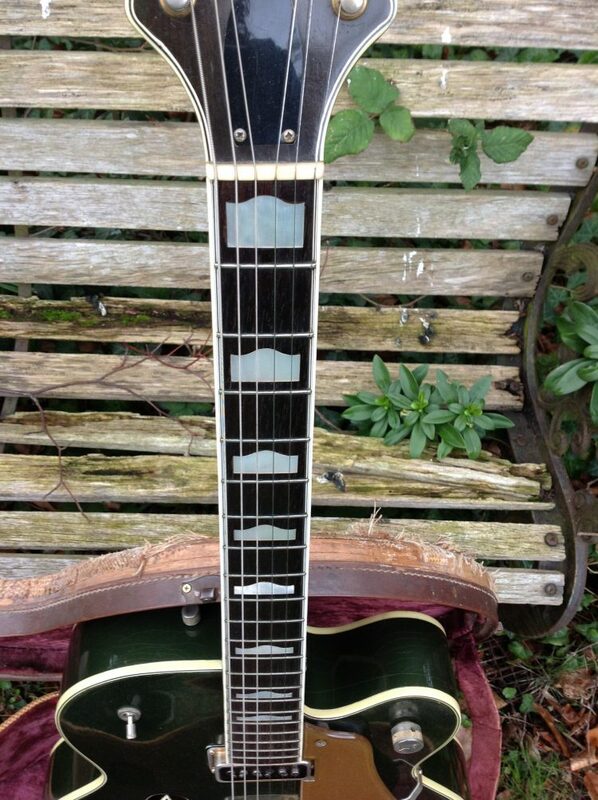 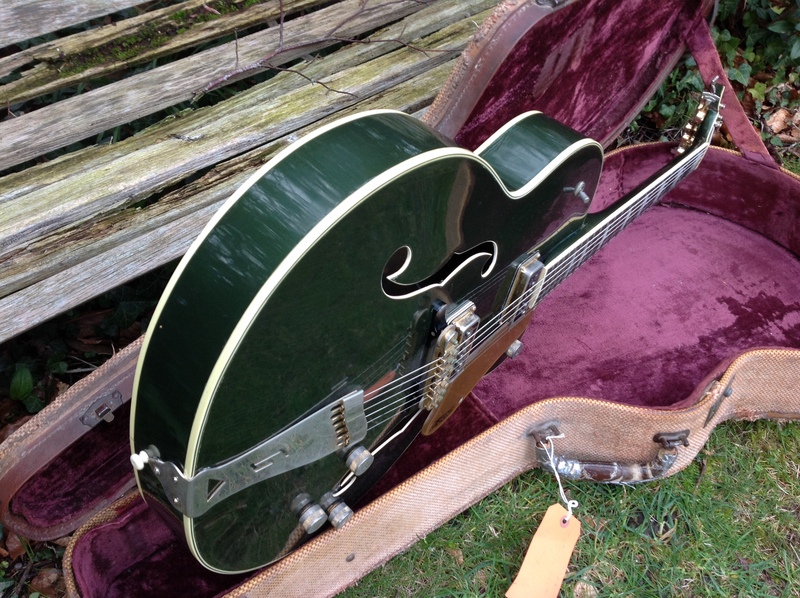 I have owned a few 1950’s Gretsch Country Clubs over the years including an impossibly rare Bamboo/copper mist example but top of the pile must be the Cadillac Green version. This one is in exemplary collector grade condition, they almost always have chips to the top finish which really shows with the dark paint scheme. But this one is damn near perfect with just a few nicks around the edges mainly to the top of the headstock as you would expect. 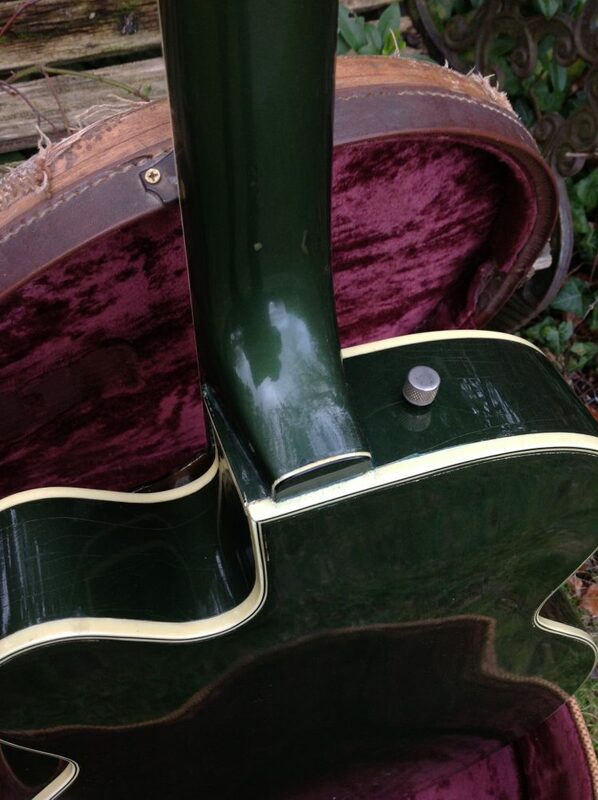 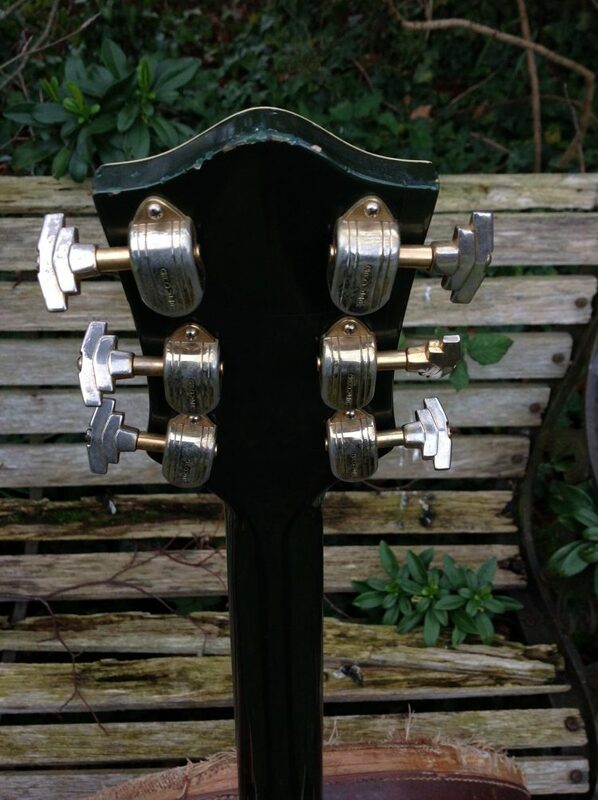 The neck angle is perfect and the gold hardware has taken on a beautiful patina only achieved through age. 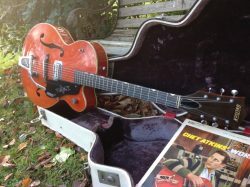 Country clubs have a unique sound which really leaps out with both Dynasonic pickups on, I call it the “Gretsch club growl”! 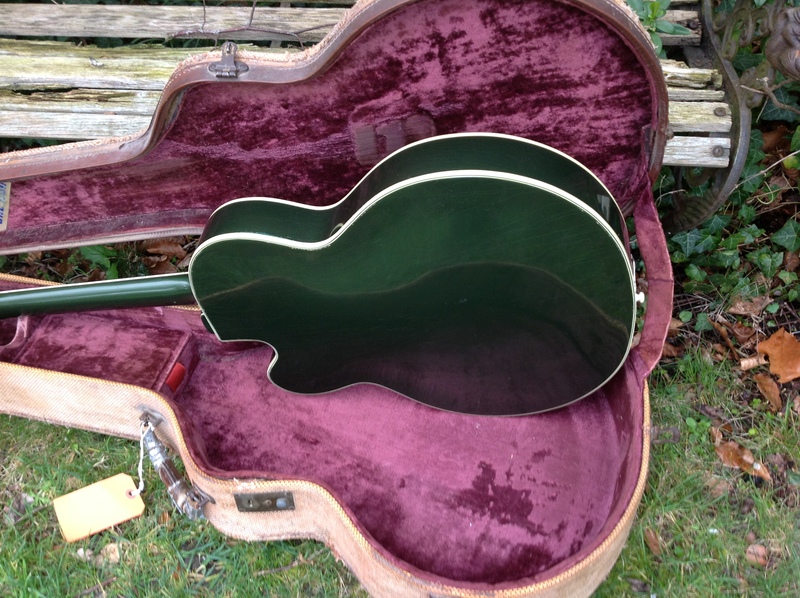 Probably due to the 17 inch wide and 2 3/4″ thin hollow body Which is also shared exclusively with the White Falcon! 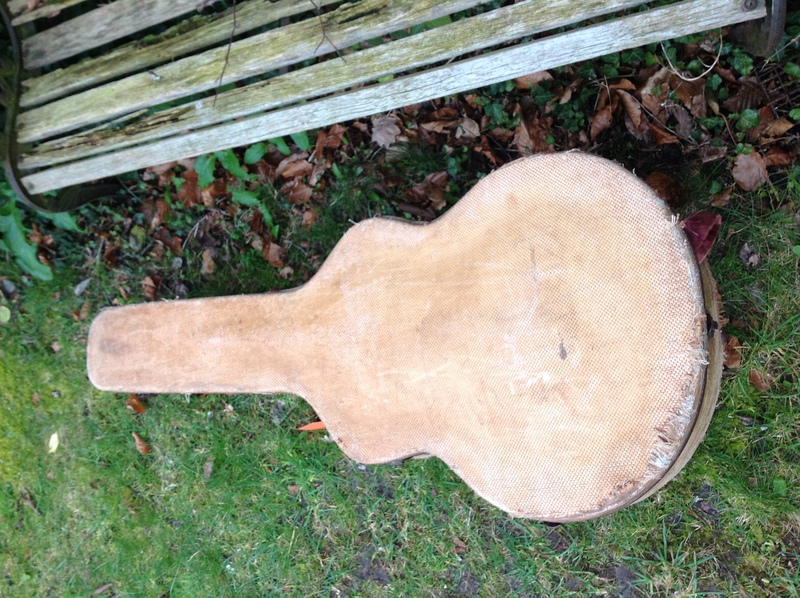 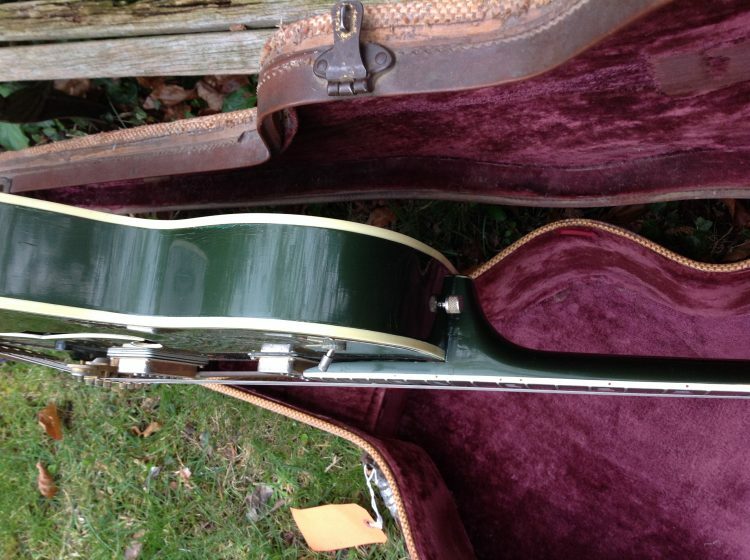 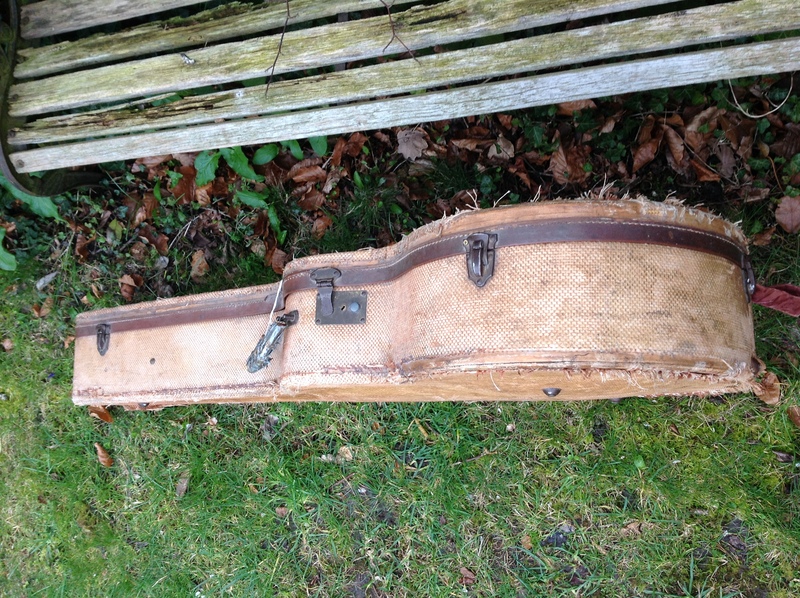 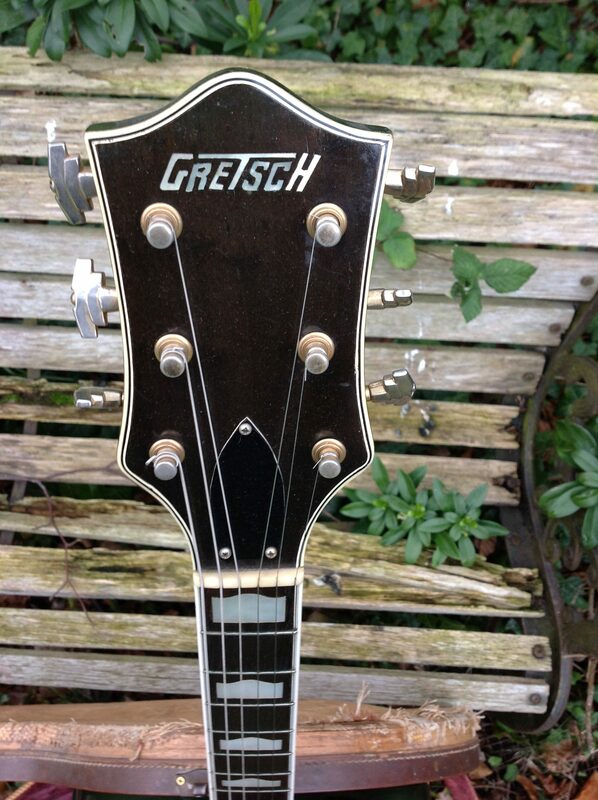 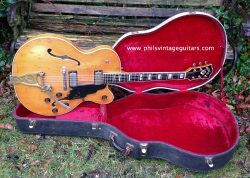 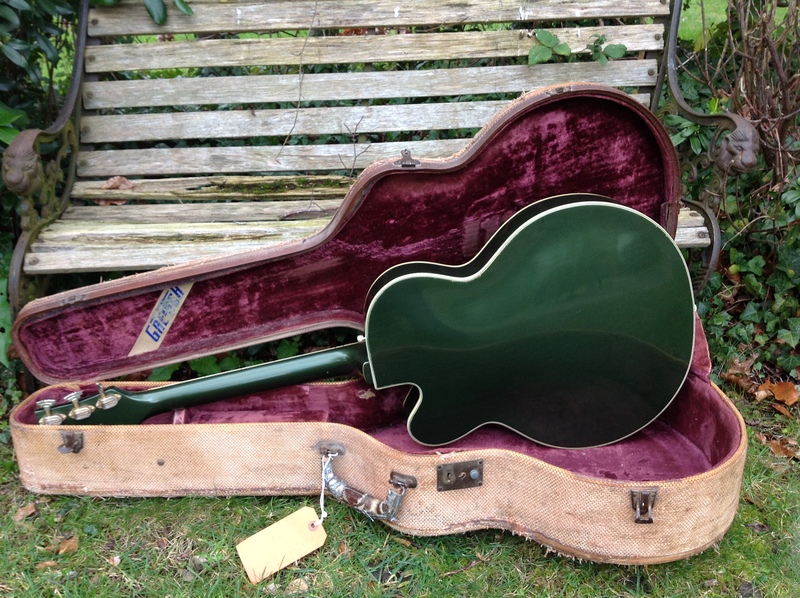 Comes with its original maroon lined tweed Gretsch banner case.